An abscess is a pocket filled with pus that becomes very painful as it presses against surrounding tissue, bone, or the hoof wall. If the abscess is not treated, it may break, causing infection in the surrounding tissue. 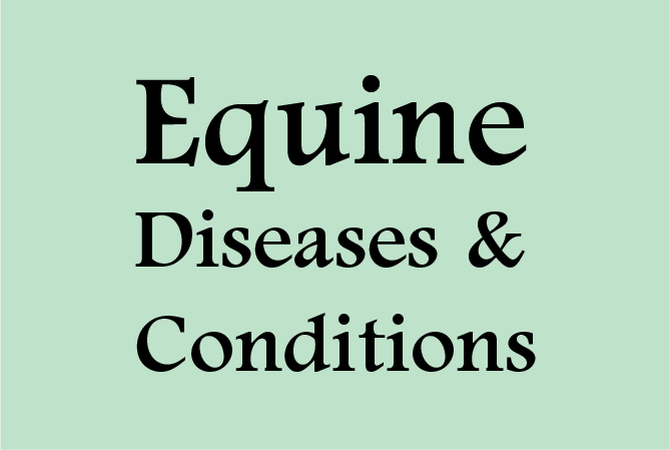 Hoof abscesses are probably the most common cause of acute lameness in horses. Often foreign objects that penetrate the hoof carry infectious agents, such as bacteria or fungal elements that gain entry into the hoof through a separation in the sole-wall junction. Hoof abscesses are either direct or indirect. A direct hoof abscess occurs when a foreign object penetrates the sole and enters the sensitive structure, creating a pus formation. This creates acute pressure on sensitive areas and, in turn, produces severe pain often causing the horse to sweat and paw the ground with the afflicted hoof. If the foot is tapped with a hammer or squeezed by a pair of farrier's pliers, the horse will often move the foot and shiver, showing evidence of pain. An indirect abscess is caused by migration of moisture or bacteria into fissures and cracks along the white line. In both cases, noticeable heat, swelling in the pastern and fetlock, and a palpable pulse within the digital arteries present on each side of the pastern are indications of abscess formation. Horses and ponies often pick up nails, sand, gravel, dirt, sharp pieces of metal, stone, glass, or wood, and, unless the foreign object is spotted and removed promptly, it may slide along the sole to the sensitive area underneath and create an infection, leading to the formation of pus and creation of pressure in the inflamed area. Infections caused by moisture and bacteria gaining entry into the foot by way of a hoof wall crack or multiple old nail holes are considered indirect sources of abcesses. All hoof abscesses should be taken seriously to prevent career-ending or life-threatening wounds or lameness. If left untreated, an abscess will follow the path of least resistance up the hoof wall, rupture, and then form a draining tract at the border of the hoof's horny wall where the hair growth stops, commonly known as the coronet. This often leads to a permanent scar in the hoof wall. Most horses affected with hoof abscesses show sudden lameness. The degree of lameness varies from subtle to non-weight bearing. Usually the hoof will be warm and the horse will react when pressure is applied. Hoof testers may be used to help determine the localized area of the abscess. Commonly, a small tract or fissure will be observed in the white line, near where the pain is noted. Because the white line and frog are somewhat elastic and wounds in these areas typically close, the point of entry may not be visible. Sometimes pain will be evident over the entire foot when probed with hoof testers and the veterinarian may want to rule out a severe bruise or a possible fracture of the coffin bone, which is shaped like a small hoof. If the foreign object is observable, remove it carefully, noting the point of entry so that a veterinarian and/or a farrier can be made aware of the site. Some puncture wounds are well-hidden by the spongy frog and the dirt-filled sulci, so a careful examination as soon as any lameness is noticed is extremely important. . Depending on the severity of the abscess, both a veterinarian and a farrier may need to be in attendance for the best possible prognosis. The first procedure is the thorough opening up of the focus of the infection to ensure complete drainage. If not opened promptly, the pus will take the line of least resistance and the infection will spread between the laminae and the sole or between the laminae and the wall. After the pus is drained, an antibiotic or antiseptic solution should be applied to the abscessed part with a syringe to make sure all parts of the surrounding tissue, bone, and hoof wall are saturated. A self-contained medicated poultice obtained through a veterinarian or tack shop should be applied or the foot should be soaked twice daily in hot water with antiseptic and then covered with a clean sock or a plastic boot made specifically for the purpose. \Make sure that the drainage hole is protected from being blocked by dirt or other foreign matter. A small gauze pad is often used for this purpose. A tetanus injection or a booster dose of tetanus toxoid is advised by farriers and veterinarians. Proper trimming of protective horn is important for good hoof health. The object is to trim the walls evenly, and to trim just enough of the wall to keep the bearing edges level with the surface of the frog. .
Use of hoof hardeners and bedding the horse on shavings or sawdust during wet weather or when the horse is being washed frequently, will harden the feet and prevent abcesses caused by foreign matter penetrating through the white line. Functional strength, instead of eye appeal, should be emphasized for good hoof health.